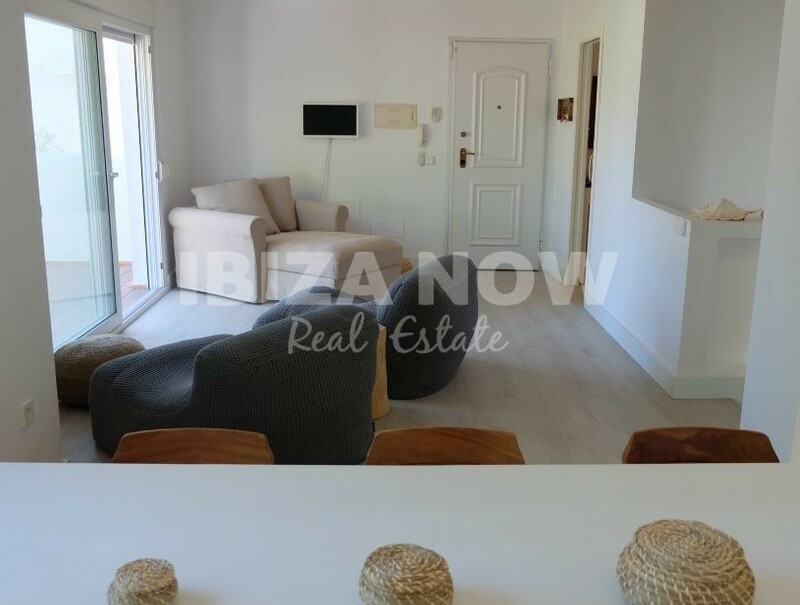 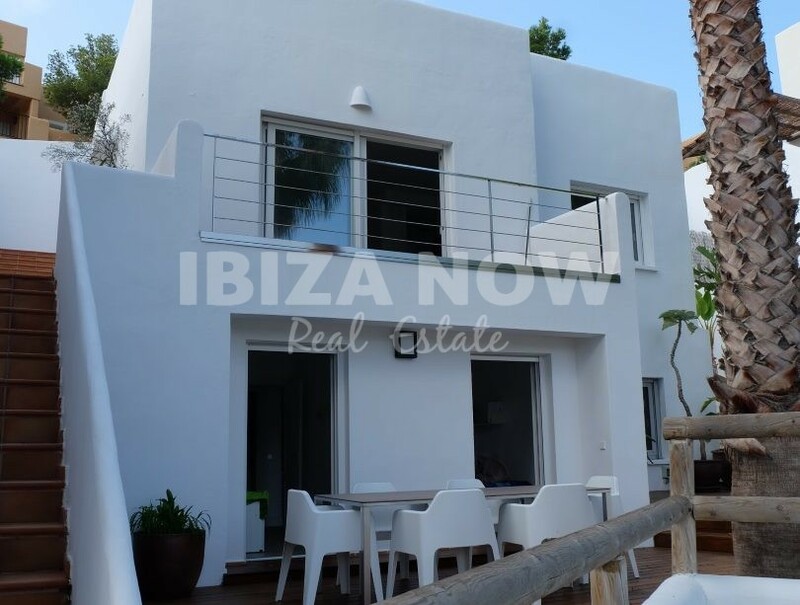 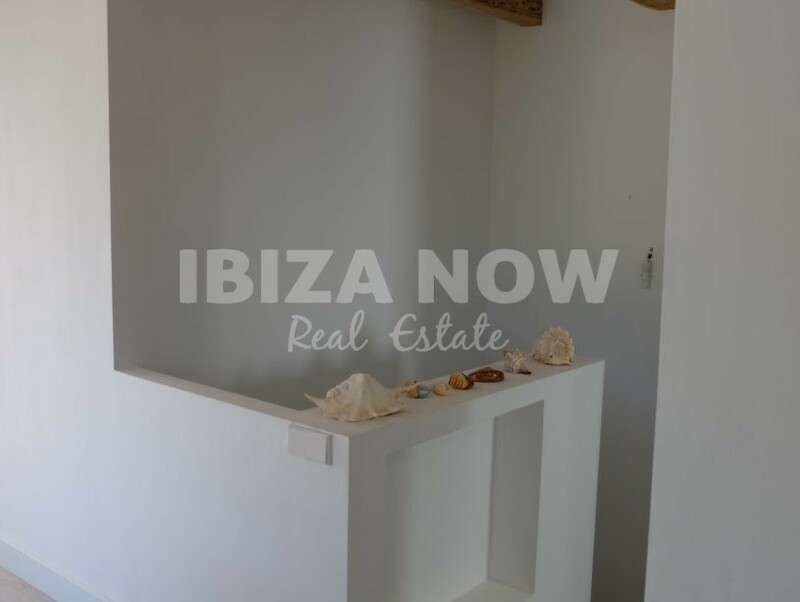 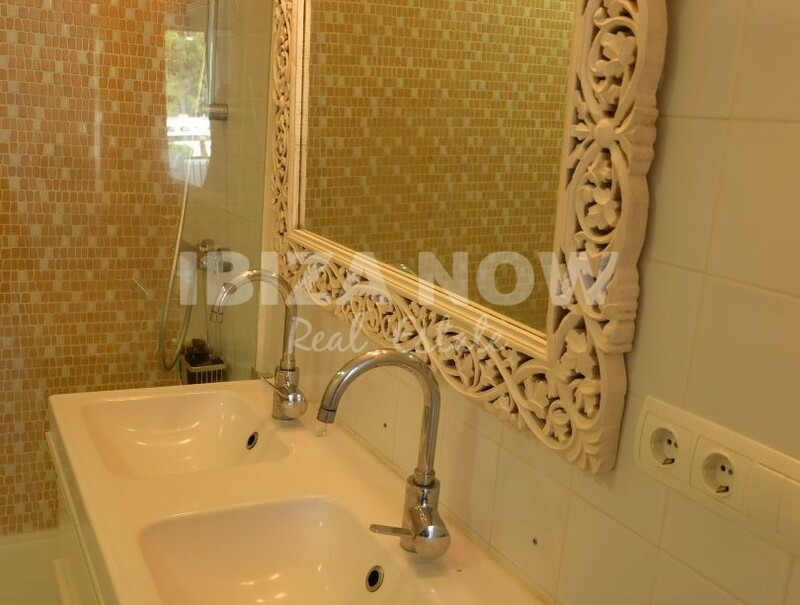 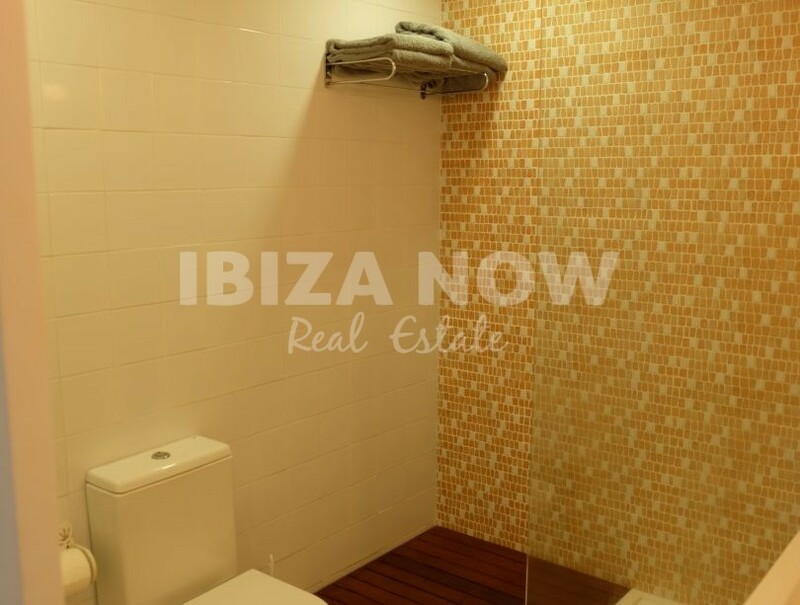 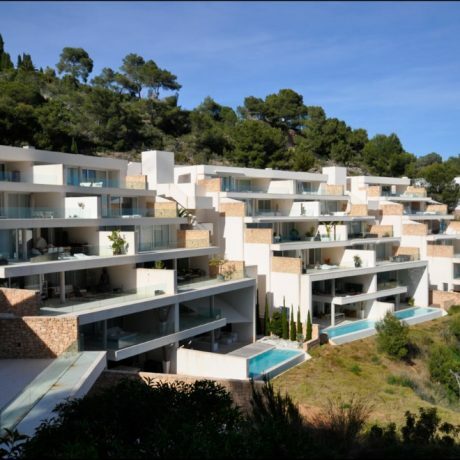 Nice 3 bedroom house for sale close to the beach of Cala Vadella, Ibiza. 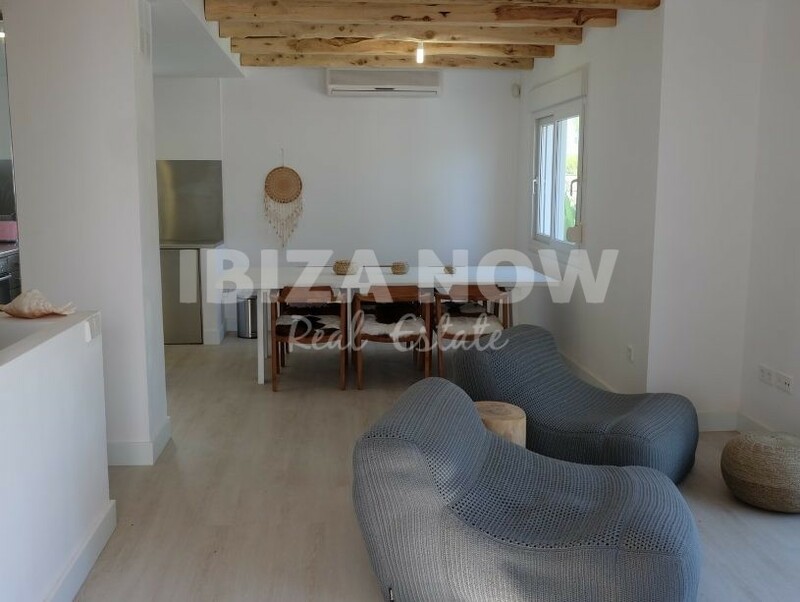 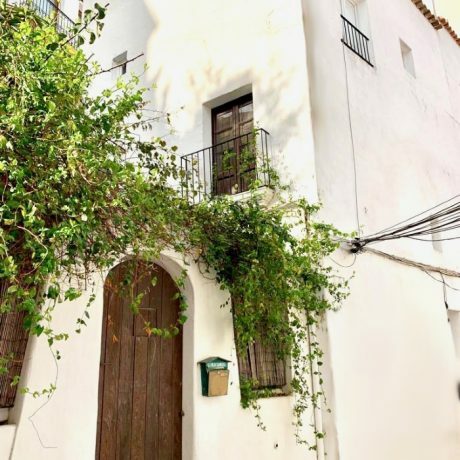 This recently renovated 3 bedroom house is located close to the beach of Cala Vadella. 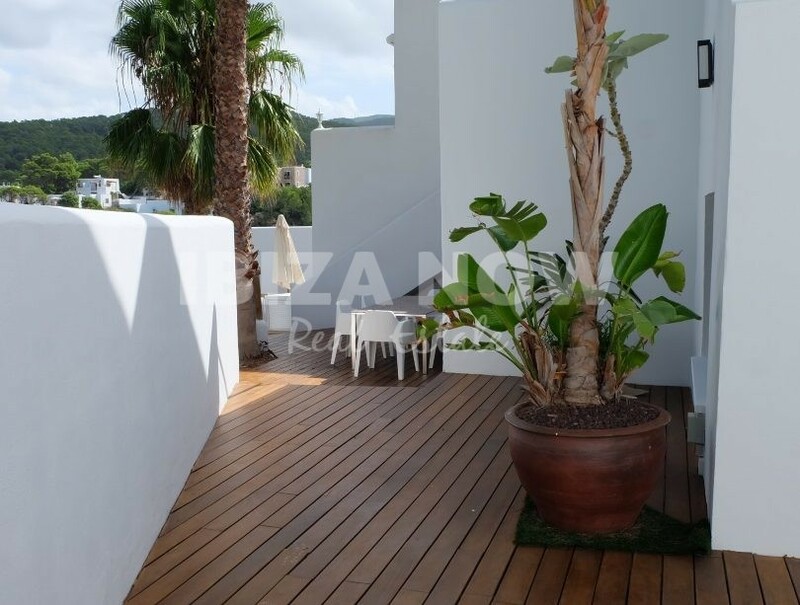 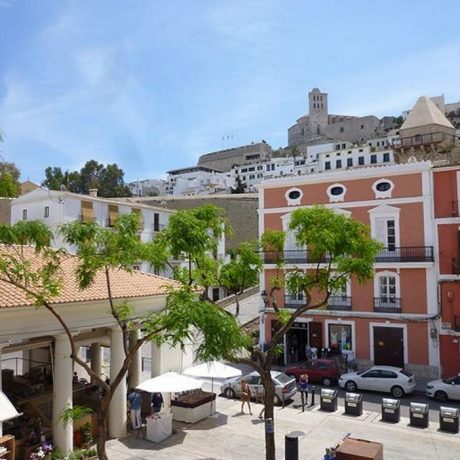 Offering a large roof terrace with amazing views of the bay and mountains. 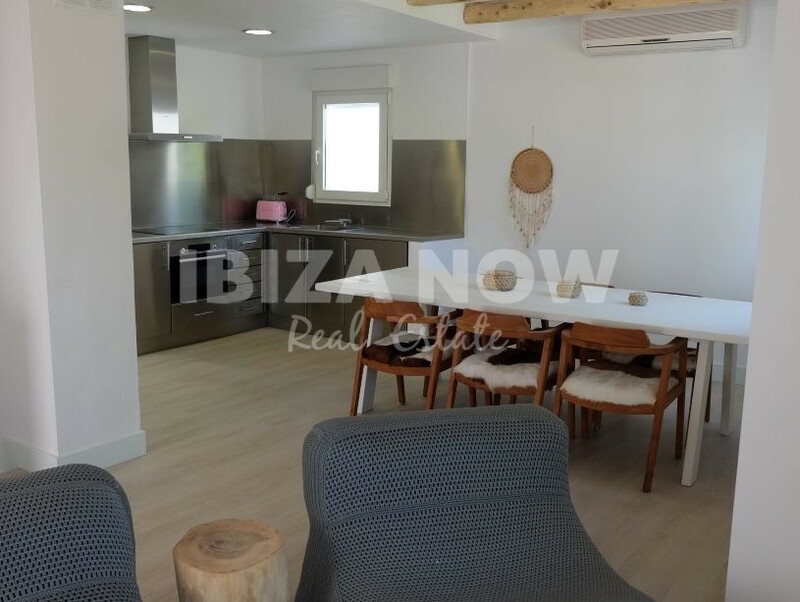 On the entrance level, we find the living/dining room with nice Sabina beams, American style kitchen and guest bathroom. 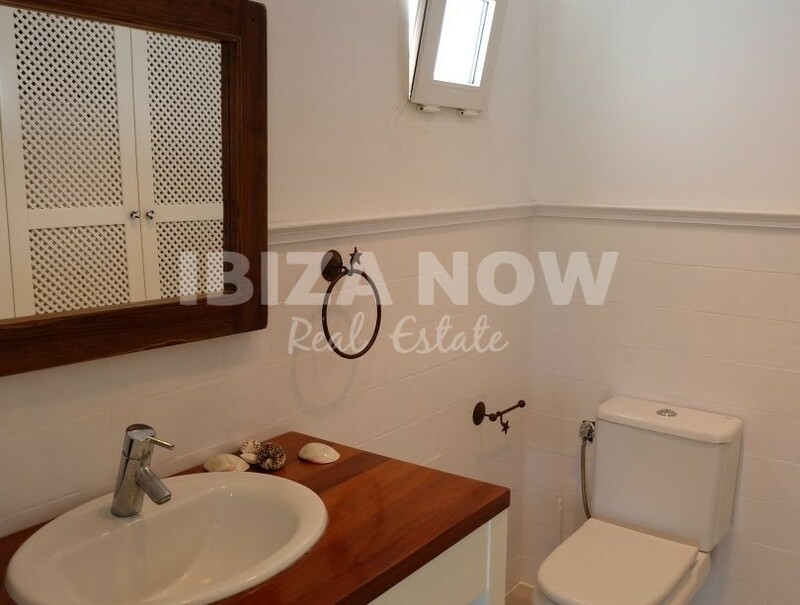 The lower level is for the 3 bedrooms, of which the master bedroom has an ensuite bathroom. 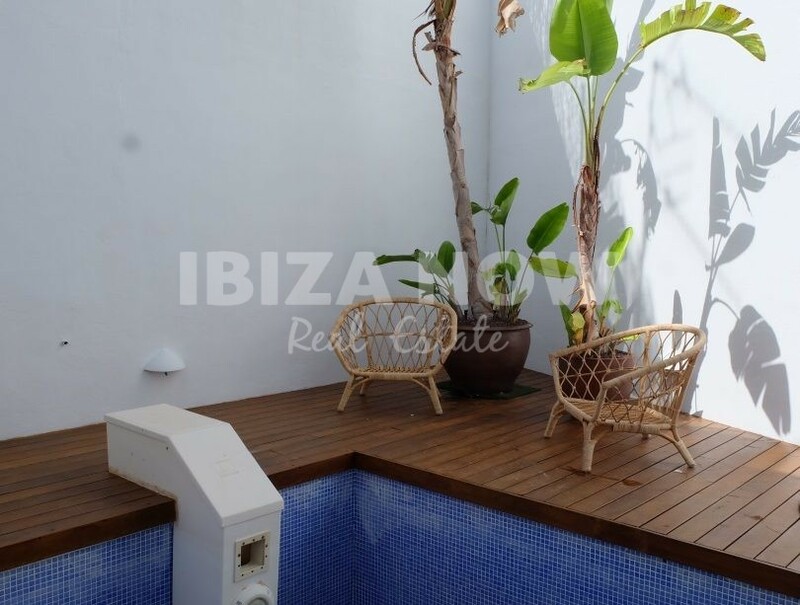 From the 2 other bedrooms, there is a direct access to the large terrace with swimming pool. 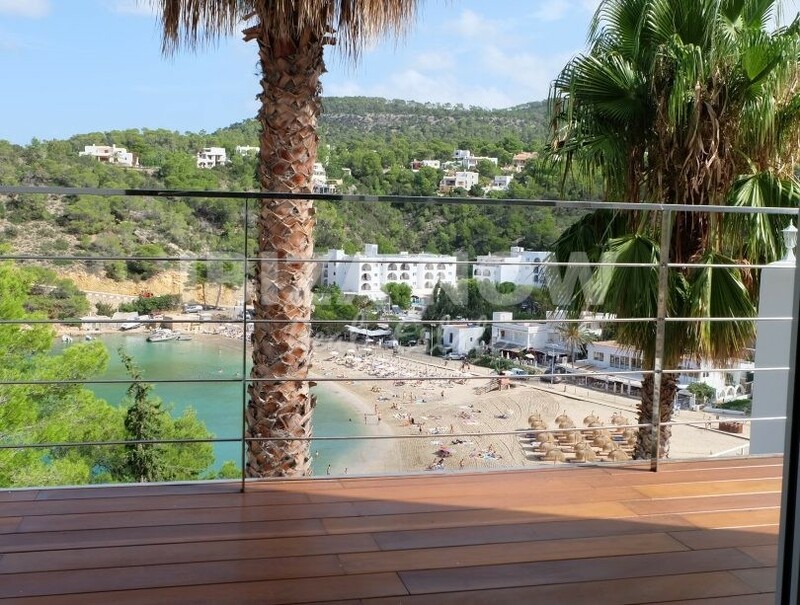 From here you have an access that allows you to go straight down to the beach of Cala Vadella. 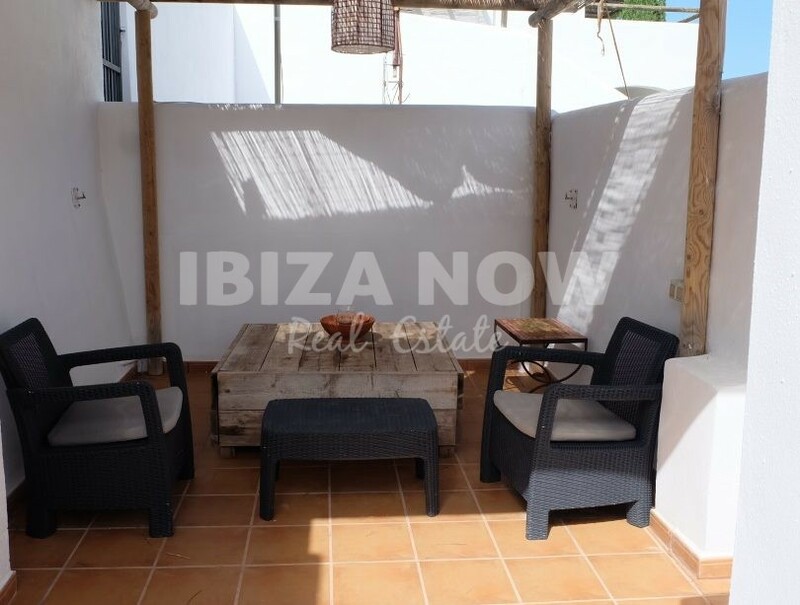 Furthermore, there is air conditioning warm and cold, double glazing, a fully equipped new kitchen, and a private parking space.